Naismith Engineering will be giving demonstrations of its Fluidomat scoop control fluid coupling system on Stand H1031 at AIMEX. Indian manufactured and designed Fluidomat fluid couplings, which have been selling around the world since 1971, were introduced to Australia in 2007, marketing manager Jaffer Tambuwala stated. 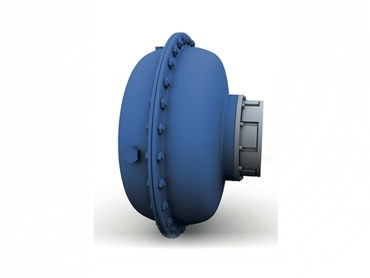 “We currently have virtually every size of fixed speed Fluidomat fluid coupling in our warehouse, including shaft mounted, radially displaceable, pulley design and steel bodied for underground mining requirements,” Tambuwala said. “We will also be displaying models of Steel Bodied couplings for underground mining,” he said. “With our in-house workshop in Melbourne, we have the capability to manufacture and fit custom-required pulleys to Fluidomat fluid couplings, as well as bore and key to specific shaft sizes. Fluidomat fluid couplings include Fixed Speed/ Constant Fill fluid couplings; Variable Speed/ Scoop Controlled fluid couplings; and custom built for both the above types.